From post-grads to grandmas, diners are getting on board with tableside technologies. In the US alone, mobile payment transactions are projected to reach a whopping $1.3 trillion by 2017, finds a new report by PayAnywhere. 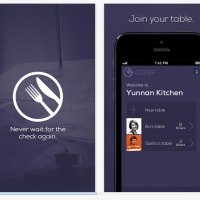 Cover is one of the up-and-coming mobile payment apps that NYC restaurants are eating up. It allows customers to dine without waiting for the check, and it saves restaurants money to boot. The payment processing startup offers a free Uber-esque app that stores diners’ credit card information and tip preference and automatically charges them at the end of the meal. Restaurant operators use its back of house app (also free) in addition to their point of sale (POS) system to process Cover user payments for a lower fee than the 3.5-7 percent credit card companies charge. The startup launched out of beta in New York City in October, 2013 after announcing a $1.5 million Seed Round, led by OATV and Lerer Ventures. We touched base with founders Mark Egerman and Andrew Cove just after the launch to discuss the startup’s technology, fundraising strategy and plans for growth. You can check out that full interview here. 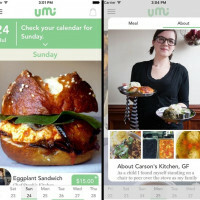 Since then, the startup has gone from 16 restaurant partners to 80+ in Manhattan and Brooklyn. 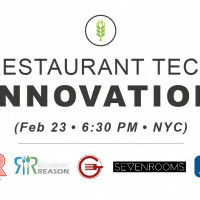 At our January Food+Tech Meetup “How New Tech is Transforming Restaurants,” Egerman presented his startup’s business model and philosophy (video below). Since the Meetup, thousands of customers have started using Cover and restaurants like Momofuku Ko, Marc Forgione, Saxon+Parole and Public have joined the startup’s growing roster, Egerman tells me. Cover – Food+Tech Meetup from Food Tech Connect on Vimeo.